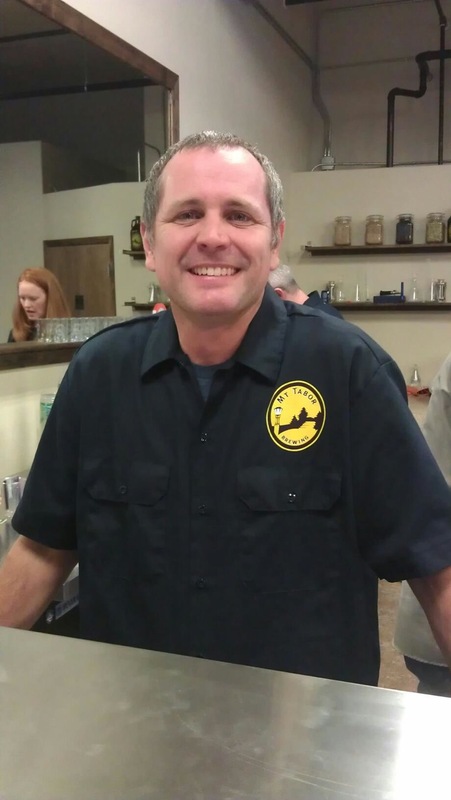 *Meet our friend and fellow #pdxbeergeek Duke Geren! Duke was behind the bar at the recent re-opening of Mt. Tabor Brewing in Vancouver, Washington... and if you're lucky, you can find him down at FH Steinbart where he's always ready to lend a helping hand! Hometown: Santa Ana, CA but my dad was a career Marine Officer and I went on to work in the airline industry so I’ve been a nomad of sorts most of my life. Favorite Beer: I have to pick one? Deschutes The Dissident is probably my current favorite. What was the first craft brew you ever tried? What did you think? I was living in Palm Springs at the time and our neighborhood pub had just gotten Widmer Hefeweizen on tap. It was the gateway beer for me. Plus, when it was 115°F outside, it was damn refreshing. Do you homebrew? If yes, favorite homebrew to date: Yes, I’ve been homebrewing for about six years now and switched to all grain about a year and a half ago. My current favorite is a Scottish Wee Heavy based on the same by Belhaven Brewery in Dunbar, Scotland. How’d you hear about the pdxbeergeeks? I met Emily at BBC11 and was immediately taken by her infectious attitude toward beer. Naturally I started following the blog soon thereafter. What does being a beer geek mean to you? It means not being afraid to let your craft beer freak flag fly and to get as many other people as possible to let theirs fly as well! If you could change one thing about beer culture in the US, what would it be? I don’t think I would change anything. I think the US has been infected in a good way by craft beer. The infection is spreading. And there is no cure (Thanks to the diety of your choice). Big Beer is scared. And they should be. What do you love about Portland’s Craft Beer scene? The amazing sense of community is overwhelming. From brewers, to bloggers, to drinkers, I have not met one person in the PDX scene that wasn’t open, friendly, sincere and passionate. We are truly blessed. Where can we find you on the web? @Dukester on Twitter and on a yet to be announced beer blog that I am working on launching this fall. I’m hoping to approach Craft Beer and the PDX beer culture from an angle that has yet to be fully explored yet. Follow me on Twitter and you will find out about that project when I’m ready to raise that Craft Beer freak flag!